Teaching how to code and basic programming concepts from an early age is very important. Not only learning how to code can help your kids in future but it also teaches important skills like problem-solving, sequencing and logical thinking. That being said, you don’t have to go through complicated books to make your kids learn basic programming. Thankfully, there are quite a few coding games that make the task easier and fun. 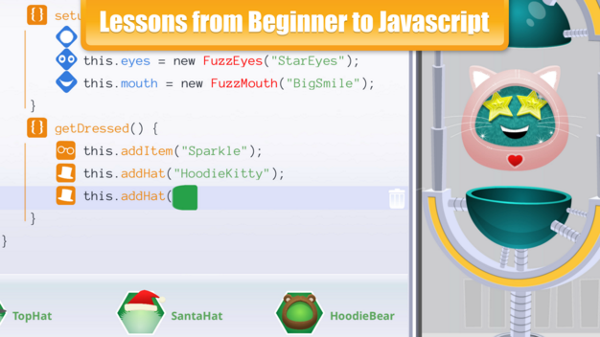 Here are some of the best coding game apps for kids and adults. IDZ coding games app is a collection of small yet fun coding games. 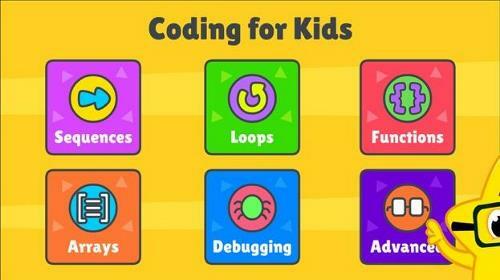 Since there are more than 50 different coding games, your kids won’t get bored easily and learns almost all the programming basics like variables, arrays, loops, functions, etc. 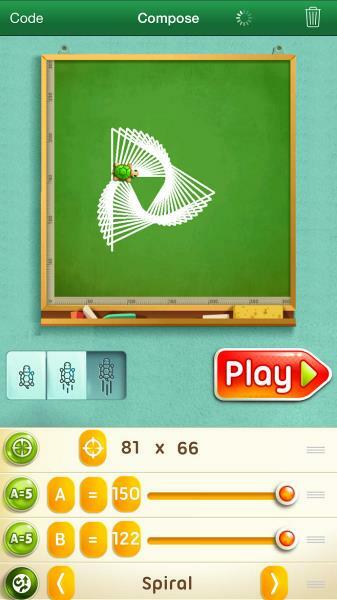 Apart from that, the app also teaches logical thinking and problem-solving skills. Download for Android / iOS. Tynker is a puzzle style game that teaches your kid’s coding basics and how-to code. Unlike other games, Tynker has block coding. i.e. by arranging blocks, your kids can create their own games and apps using programming fundamentals like loops, arrays, functions, etc. Additionally, the app also lets you animate and set behaviors for in-game creatures and teaches pattern recognition and sequencing. 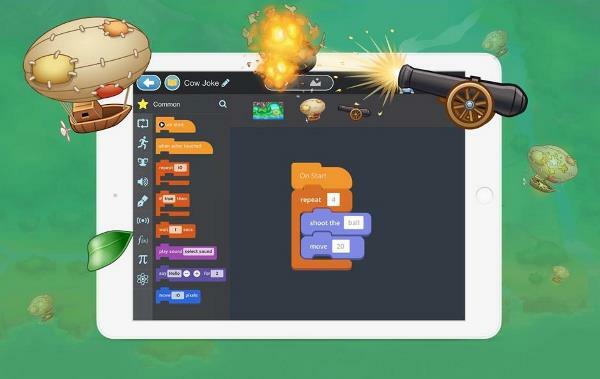 codeSpark Academy has its own in-app game maker that lets your kids build their own simple games all while learning and utilizing key programming concepts. 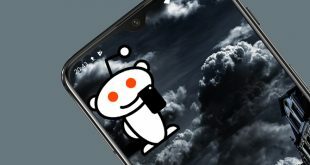 What’s good about the app is that it is designed in collaboration and research of top universities like MIT and Princeton. Additionally, the app developer adds new content every month so that your kid will always have something new to learn and do. Price: codeSpark Academy is a premium subscription-based app. It costs you $7.99 per month. 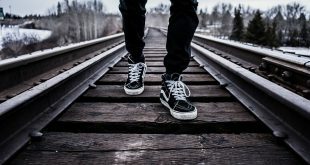 There is a free 7-day trial to test run the app. Cargo-Bot is a simple yet highly popular puzzle style coding game for kids. The game has many stages. In each stage, you are tasked to program a bot using basic programming concepts so that it moves and delivers the cargo efficiently. When needed, the app even allows its users to record the gameplay and share it on YouTube. Price: The app is free. 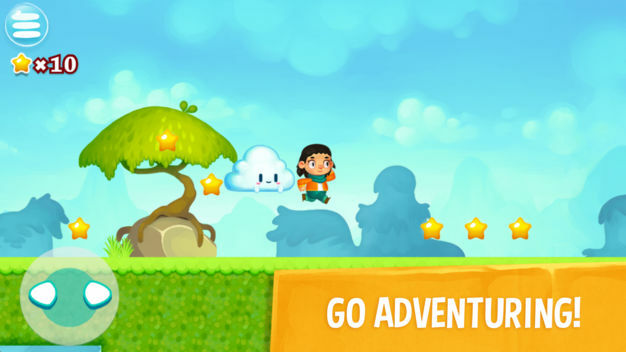 SpriteBox Coding teaches real Swift programming on iOS devices and Java programming on Android devices via an adventure game. In the game, your kid is an adventurer collecting items, going new places, solving puzzles, etc., Each and everything your kid does in the game teaches something about one or more programming concepts. 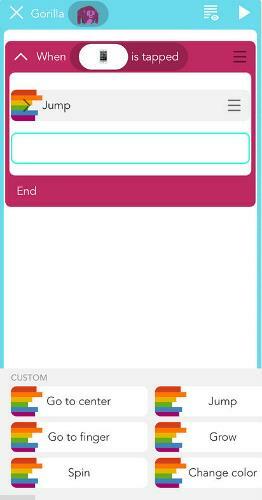 Price: SpriteBox Coding is a premium app that costs $4.99. As you can tell from the name itself, Code Kingdom is an adventure game that is specifically designed to teach algorithmic skills, logical thinking, and spatial imagination along with the regular basic programming basics. The game has several maps, levels, and game scenarios. Price: The app is free with in-app purchases. 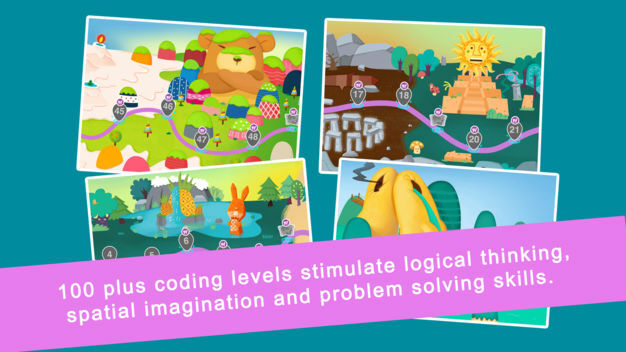 Think & Learn Code-a-pillar is a very simple gaming app that aims to teach your kids problem solving, number recognition, planning, and sequencing. 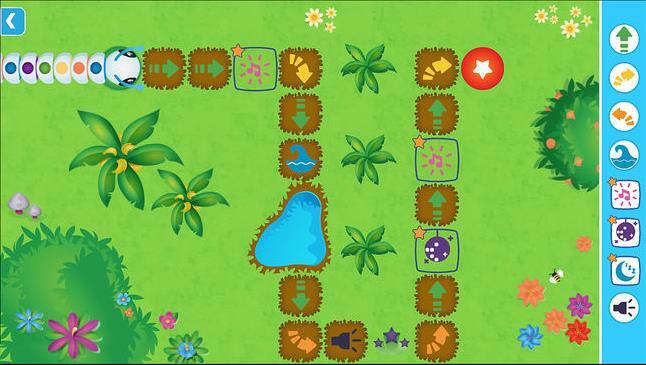 The game has various command segments using which the kid needs Code-a-pillar to solve a maze all the while feeding him a precise amount of leaves. Though Code-a-pillar doesn’t directly teach the core programming concepts, it sure does improve the required logical skills. Move the Turtle is an amazing award-winning game that teaches your kids how to code using a Turtle. In the game, you are tasked to move the turtle in a certain way. In the process, the kid learns how to sort out and complete complex moves, how to reuse previous moves, how to store information, etc. Price: The app is premium only and costs $3.99. 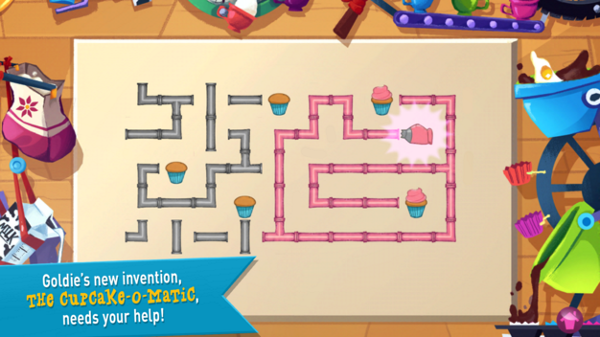 GoldieBlox is a simple adventure type coding game where the kid is tasked to build a super-fast skateboard to help Goldie deliver cupcakes to the entire town. In the building process, the kid will learn all the basic programming concepts. The game has multiple maps and has few other mini-games that provide more detailed information on certain programming concepts. Price: GoldieBlox is a premium app that costs $2.99. Hopscotch is one of the best when it comes to coding apps for kids. Using Hopscotch, kids can not only learn basic programming concepts but can create their own games, apps, and stories. 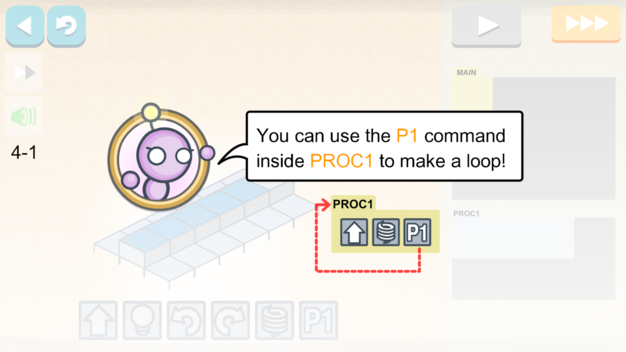 What makes Hopscotch special is that it has play-along video tutorials. Additionally, your kids can share their own creations or download the creations by other kids to learn more. 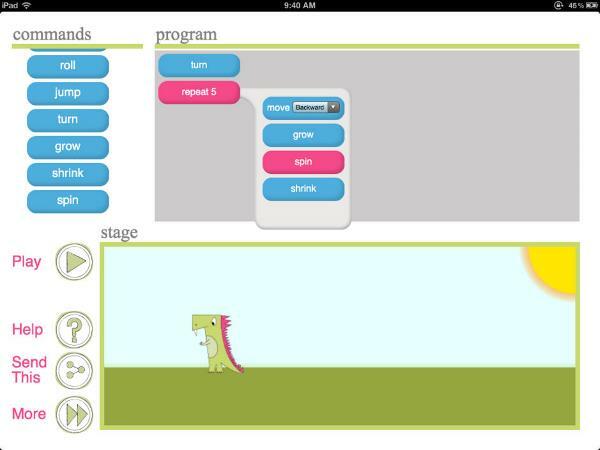 Daisy the Dinosaur is designed by the same developer that made Hopscotch coding game. The game is pretty simple and basic where your kid is charged with animating Daisy the dinosaur. They do this by logically placing different blocks in whatever order they choose. Though looks simple and straightforward, these blocks make it quite easy to understand the basic programming concepts. Lightbot is another puzzle style kid’s coding game that prides itself teaching them how to apply the programming knowledge in a practical way. In the game, the kid is tasked with guiding the robot through various puzzles. As part of that, the game gives detailed explanations on various programming concepts like control-flow statements, loops, functions, etc. The game has over 50 levels and 20 different challenges to get started. Price: Lightbot is a premium app that costs $2.99. If you are familiar with Scratch programming language then this app name might sound familiar to you. 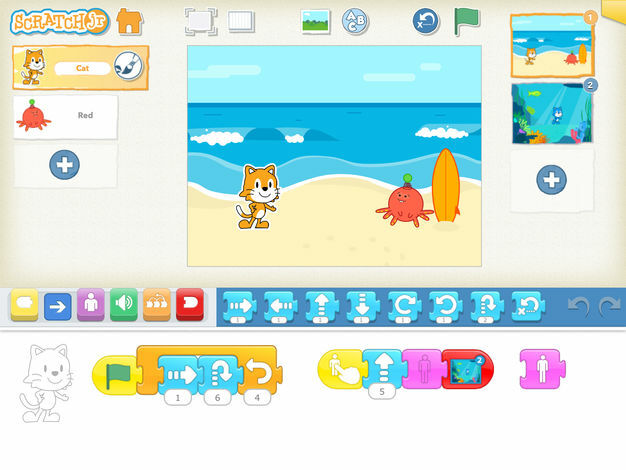 In fact, ScratchJr is highly inspired by the block style programming language Scratch and even more simplifies it for kids. 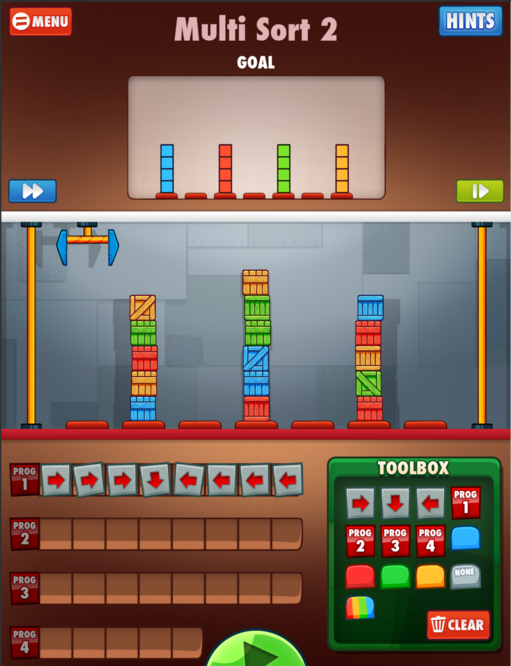 In the app, the kids can snap different blocks to complete tasks or create their own simple and complex games and apps. That is it for now. If you think I missed any of your favorite kids coding game for iPad or iPhone, then comment below and share them with me. Previous Zebronics Zeb-Peace Review – Worth a Shot?